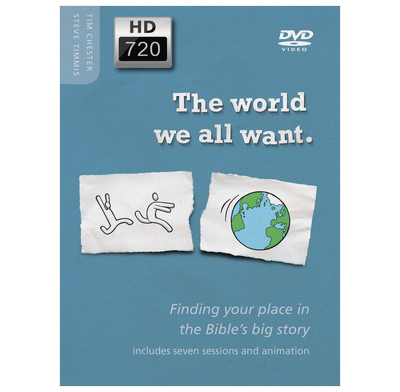 The seven presentations on this DVD by course authors Tim Chester and Steve Timmis can be used as introductions or summaries when running the course in a small or large group. It also includes an animation of the entire Bible story that is followed in the course. - A point of connection: The course begins by engaging with people's desire for a better world, showing how God promises such a world in the Bible and how Jesus gave us a glimpse of that world. This provides a natural point of contact with people; a common aspiration. It establishes at the beginning of the course a reason why the Bible story is so important. As the course develops, however, it makes it clear that this world cannot be human-centered, it must be God-centered. We have used this course on a group of retired people and it seemed to hit the level at where the people are. The course has been the means for a great deal of discussion over coffee.